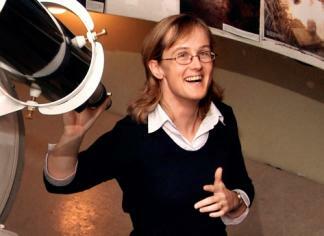 At 7:30 PM, 11 September 2015, at the Sunshine Coast Art Centre, 5714 Medusa St., Sechelt, our speaker for the Sunshine Coast Centre of the RASC will be Dr. Sara Ellison, Professor at the University of Victoria. Despite the emptiness of space, mergers between galaxies are surprisingly common. Around 1% of galaxies in the nearby Universe are currently experiencing an interaction of some kind. will describe research that uses both observations and computer simulations to trace the dramatic effect of these interactions on a galaxy’s history: how the interaction can lead to massive bursts of star formation, alter the interstellar chemistry and even provide fuel for the central super-massive black hole. Donations are gratefully accepted at the door. The Mt Kobau Star Party ended abruptly this year when a forest fire swept through the area. Danny Sklazeski and Neil Sandy attended this event. Danny got an immediate evacuation order and managed to pack his equipment and the most important items in Neil’s set up into his camper and flee the flames. Neil was in Osoyoos when the evacuation order came in so wasn’t able to get back up to the site to retrieve the rest of his gear before the roads were shut down. Fortunately neither was hurt. 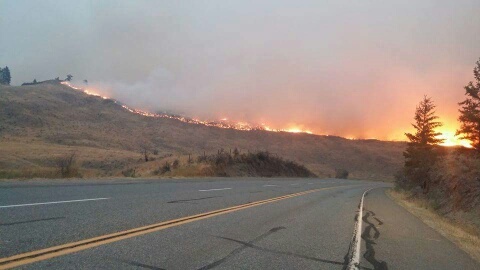 Neil sent us this picture showing the wildfire near Osoyoos next to the road access for the 6000 ft high Mount Kobau star party site. 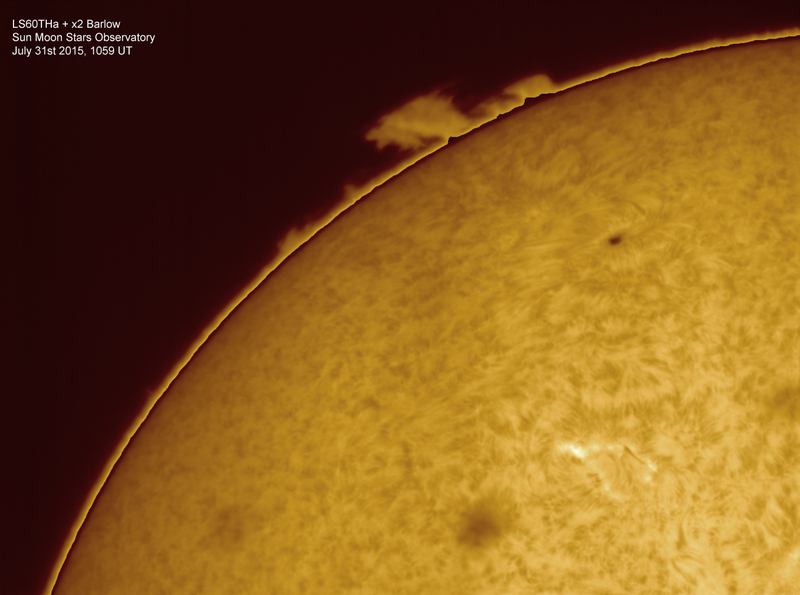 100 amateur astronomers were evacuated that night. 2015 Synchronicity Arts Festival: 23 August 2015 at Shirley Macey Park. 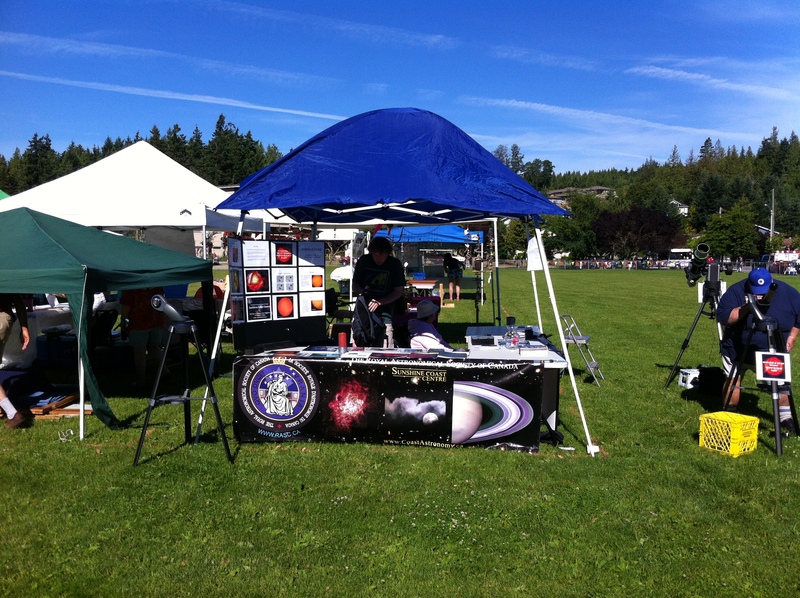 On 23 August 2015 our Sunshine Coast Centre will have our information booth and solar scopes at the Synchronicity Arts Festival at Shirley Macey Park in Gibsons. 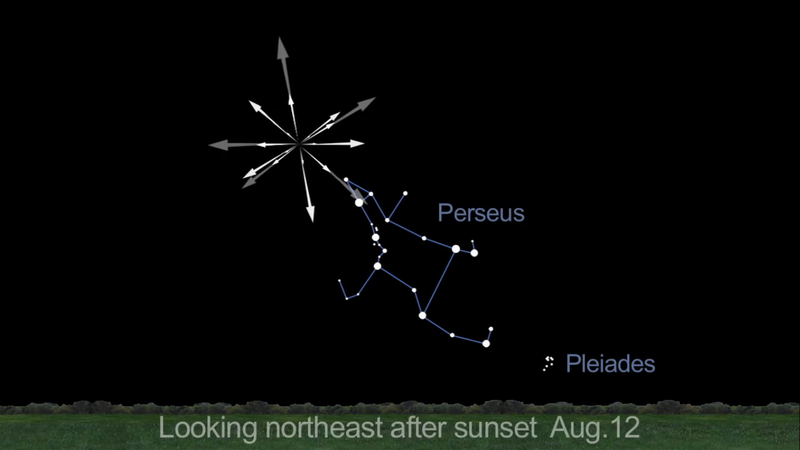 When the sun goes down we’ll have our night viewing scopes on hand to view planets and other wonders. This is the first time that we’ve participated at this festival and we hope you’ll come pay us a visit. We’ll have star finders and moon maps and other hand outs for families.